This year, CUE brought back the unConference with #cueUnCon. I spent Friday morning of the conference over at the Hard Rock talking pedagogy, curriculum adoption and Google Apps. That was a big win for me personally because the CUE annual conference can sometimes feel overwhelming with all the tech tools. It was great to just sit down and have a conversation for a bit. Which begs the question, is there a place for an un-conference during a traditional conference? Attendance at the UnCon wasn’t great but every edcamp (another uncon) I’ve ever attended started small and built over time. Not helping cueUnCon was the location, being a bit of a hike away from the main venue and hidden behind a corner. Although this could also be a good thing. The unCon was also announced rather late, which may have further contributed to the sparse attendance. Being that it was held in one big room, it was probably a good thing to not have had a lot of people. Lack of breakout rooms to run different sessions in would have been problematic had a ton of people showed up. I love the edcamp model of unCon. To me, a free event, participant driven and organized with minimal sponsors present, makes for great discussion. The CUE unCon had great facilitators and I really enjoyed the time I spent over there. 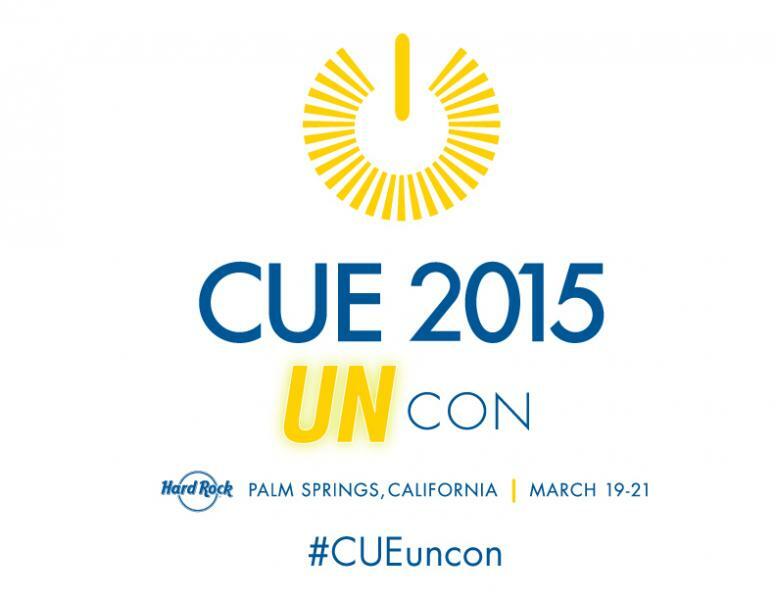 I’m hoping to see unCon return to CUE 2016, perhaps in a friendlier location with more advance notice. I’d really like to see CUE explore the idea of opening the unCon up to anyone, maybe on the Saturday, which was light on attendance anyway. Personally, I wouldn’t mind it being a full blown edCamp. Given time and proper stewardship, I think it could grow into a gem of an event within an event. Otherwise, their will always be the Renaissance Hotel #LobbyCon and a bazillion edCamps across California. In fact, there’s one this weekend (April 25) in San Jose. I am not familiar with CUE and am amazed that I can’t find the full title anywhere on their conference site or in your article…what does CUE mean?